BYE BYE 2010! HAPPY 2011! "As long as we see what has come to pass as being unfair, we'll be a prisoner of what might have been." Wasn't exactly blown away by the ten finalists revealed yesterday for Oprah Winfrey's 'Your Own Show Contest,' except for Zach Anner, a charming and witty Texan who happens to have cerebral palsy and uses a wheelchair. Zach, who wants to do a travel program with a whole new perspective, held his own with the Queen of daytime talk as she appeared to question his ability to do the show given his disability. Zach is one funny dude, who's focused on ability. He's already gotten millions of viewer votes, including mine. You bet I'll be watching. We can all benefit from seeing the world through some fresh new eyes. Love it when Zach tells Oprah he thinks cerebral palsy is the sexiest of the palsies. Check out Zach's original Oprah audition here. Watch Oprah interview the finalists, here. Zach comes in at around 10 minutes. Calling all performers with autism! Casting alert from my friend, Keri Bowers, of Normal Films, which produced The Sandwich Kid about siblings in special needs families (a film I took part in) and other special needs films. Find out more about Normal Films and its on-going projects here. 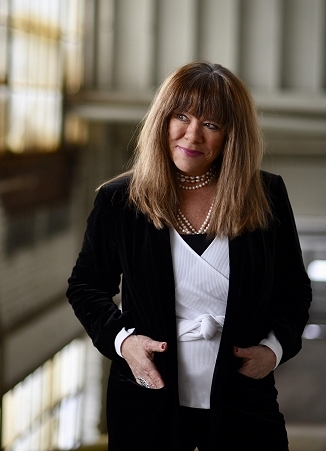 My good friend, Sharon Emery, is an accomplished journalist and editor with some impressive professional credentials to her name, including a current position as a Vice President for well-respected public relations firm The Rossman Group based in Lansing, Michigan. Emery is also one of three millions Americans who stutter, yet it hasn't stopped her from living a full and productive life. 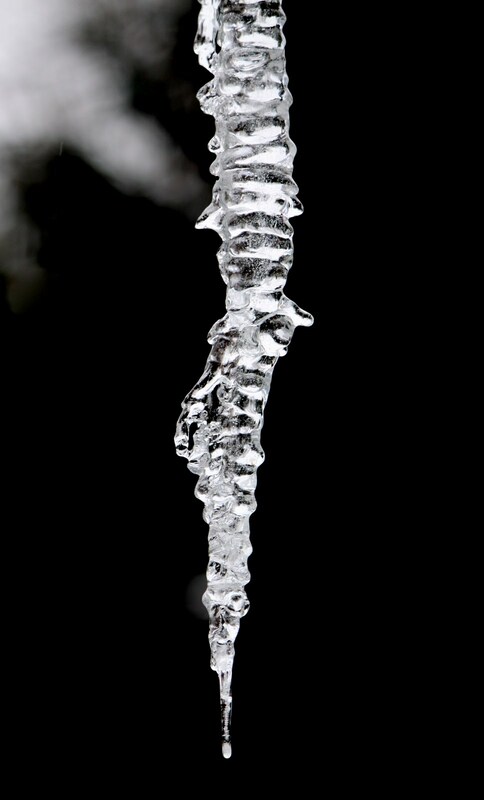 The journalist recently penned an essay about her stuttering that I find worth reading for all. As someone whose son's severely limited speech impacted his life and interactions with others, I've learned firsthand that becoming a better listener often leads to much more meaningful and productive communication. Fact is, many of us who can speak easily abuse the privilege and often say little of lasting value, in part, because we don't take the time to really listen to what's being said by others. That's our loss. Becoming a better listener is one of the greatest lessons my son taught me. Read Thoughts on a 'Disabled Listener,' Or How Listening Differently Can Help Fluent Speakers Communicate with Stutterers here. Good article in yesterday's New York Times Travel section about one of the few diving excursions available for travelers who are deaf or hard of hearing. Read Deaf Divers Sign in the Soundless Depths here. I see the world differently after checking my still lengthy holiday to-do list. While visions of sugar plums (and Sugar Plum Fairies) danced in their heads. Special Needs Shoutout! -Austrian Band Comprised of Musicians with Intellectual Disabilities to Play at Royal Weddings? 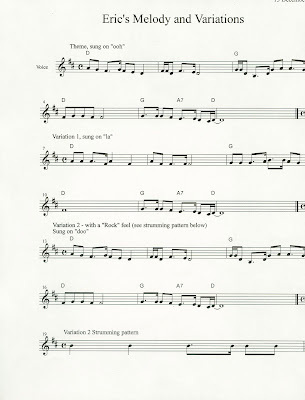 The No Problem Orchestra, an Austrian band composed of musicians with intellectual and physical disabilities, is reportedly slated to play two royal weddings in 2011, including that of Prince William and Kate Middleton. 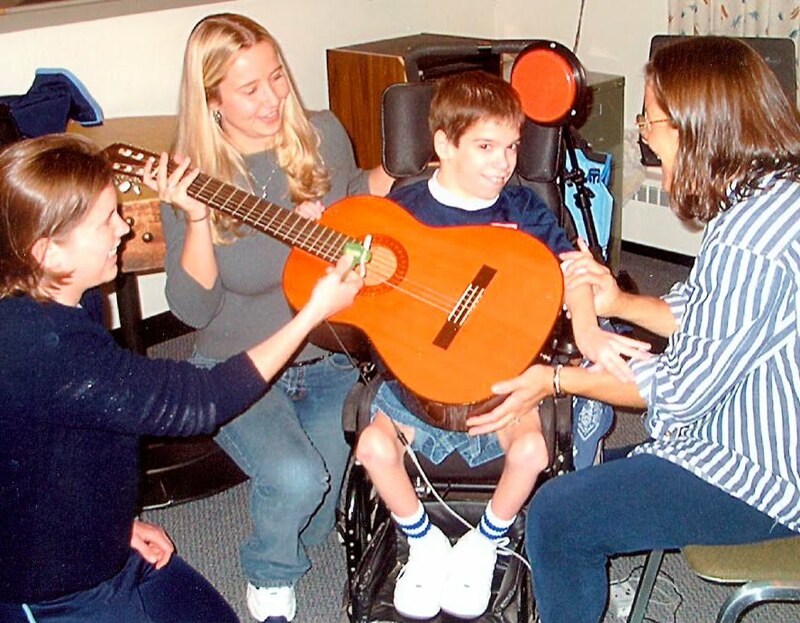 The orchestra incorporates the practice and power of music therapy to impact the lives of those with special needs. Read 'Austrian Disabled Musicians to Play Royal Weddings' here. Happy One Year Anniversary Therapy Dog, Jack. One year ago, my charming shelter pup, Jack, passed the testing required to become a registered therapy dog through Therapy Dogs International (TDI). In the past year, this amazing Aussie Shepherd has touched the lives of many, including several individuals facing the toughest challenges. Jack does his best work when words fail. Watching eyes light up and smiles suddenly appear on sad, angry, sick or worried faces as they stroke his fur, offer unexpected kisses and hug him tightly, has been remarkable to witness. Jack has taken to the work like a duck to water. Maybe it's because my handsome pooch knows what it's like to suffer. Jack's puppyhood wasn't good, but his new life since being adopted by my husband and myself nearly two years ago has been magical. Through becoming a therapy dog, Jack has found his true calling, and I have found a great new buddy and partner. Now, on to year two of changing lives, my adorable and furry canine angel. But from inside, it's so delightful. If you or someone you know is facing the challenges of parenting a child with special needs, please consider giving my book as a holiday gift, including to yourself. I know it will make a difference, as it already has in the lives of many families and professionals worldwide. I wrote the words in this terrific resource from my heart, especially for you and your child. Photo of me and a retired music therapist and satisfied customer taken at Santa Barbara book signing November 2009. Hopefully, your candle was burning brightly for your loved one last night during The Compassionate Friends Annual Candle Lighting, just as mine was for my son, Eric. Knowing how tough the holidays can be when you've lost a child, especially during those early anniversaries, I'm sharing two additional links with you. The first is to a 2008 blog post of mine about the healing power of cemetery visits. The second is from Therese Dawe, a nurse who hasn't lost a child, but who exhibits a rare and insightful sensitivity to those who have. I hope these words will provide further support to you as you walk through your greatest loss, and yes, you can survive. But know that time alone heals nothing. It's what you do with that time that helps heals your heart and soul. Eight years after the lost of my much-loved son, this much I know. Read 'The Cemetery Gang Offers Support in Loss,' here. Since the seasonal holiday frenzy and call to shop occurs earlier each year (and is already in full swing), I've decided to add my seasonal tips and resource links earlier as well, hoping it helps kids with special needs and their families have a more festive holiday season. First up, gift buying for kids with special needs. I remember well the times my son received a birthday or holiday gift that was neither age appropriate nor what he'd hoped for. It wasn't because people didn't mean well, but because they lacked the understanding and comfort level about what would be a great gift choice for a child with significant physical challenges. Their choices, and refusal to ask what Eric wanted, reflected that disconnect. Those moments of big disappointment for my son as we excitedly unwrapped his gifts were tough to witness. That's why I've become a fan of the annual Toys "R" Us Guide for Differently Abled Kids. This terrific annual guide can help people make more appropriate and fun choices for kids with disabilities. For the past twenty years, the retail toy giant has produced the guide with a focus on helping encourage play for children with physical, cognitive or developmental disabilities. This year's celebrity cover choice is Holly Robinson Peete (HollyRod Foundation), who has a child with autism and understands well the many challenges facing special needs families. You can find out more about the guide and watch a video here, while also accessing the Top Ten Tips for Buying Toys prepared by the National Lekotek Center, considered a key resource for toys and play for kids with special needs. 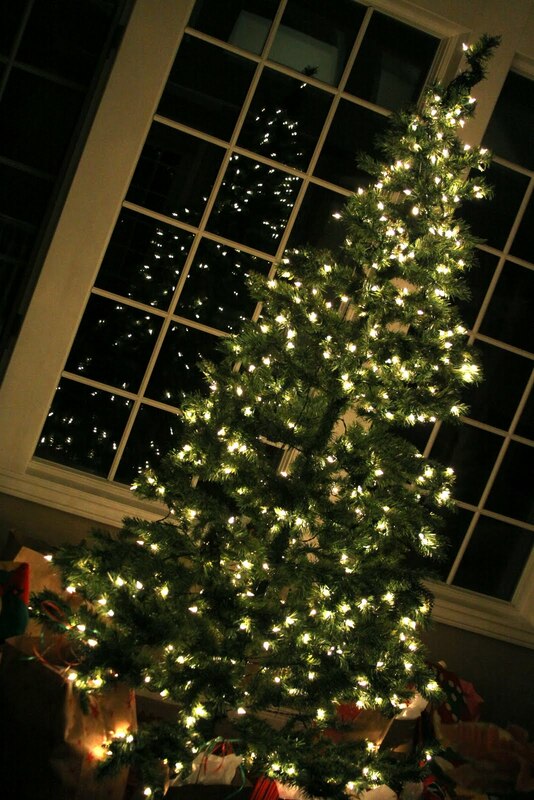 Both resources can help you make a child's holiday brighter, and that's in keeping with the season. Finally, don't forget to allow your child with special needs to do gift shopping for others, too. Happy shopping, and kudos to Toys "R" Us for all it does to support the special needs community. 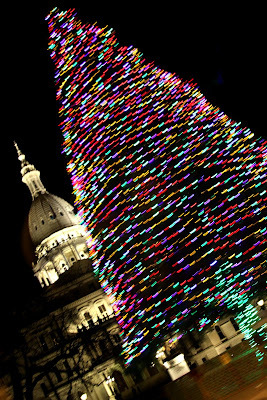 More great gift-giving ideas for those with special needs. 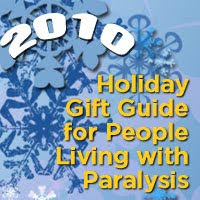 The 2010 Gift Guide for People Living with Paralysis comes from one of my fav organizations: the Christopher & Dana Reeve Foundation and its Paralysis Resource Center. Hope my holiday tips Creating Holiday Magic for Kids with Special Needs help make your celebrations a bit more joyful, no matter what traditions you honor. Feel free to share these tips, but please creditJudyWinter.com/2011. All rights reserved. -Interact with family members with special needs, and encourage others to do the same. If the child uses a wheelchair, kneel to eye level and address the child directly. Allow other kids in the family to buddy up and assist the child with special needs in hanging ornaments, frosting cookies, setting the table, or passing out presents. 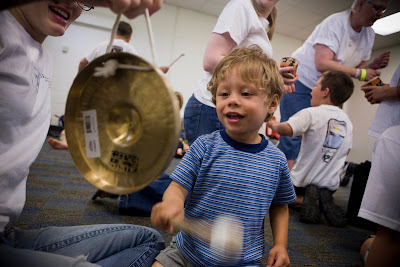 Help that child participate whenever possible, while teaching other kids in the family valuable, lasting life lessons. -Practice forgiveness whenever possible. 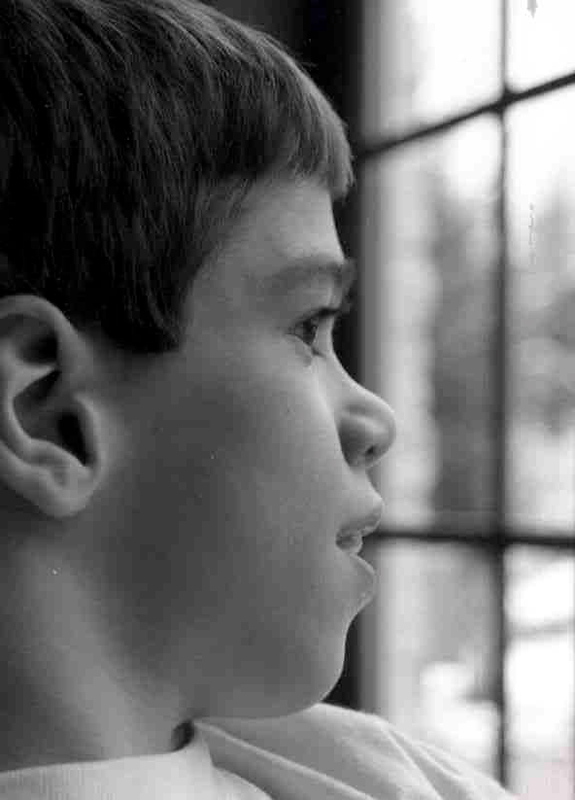 Most family members don’t intentionally set out to exclude children with special needs. They often require education, support and positive examples to bring them up to speed. By focusing on creative solutions, families can help realize holiday magic for kids with special needs, too— and that’s in keeping with the spirit of the season. 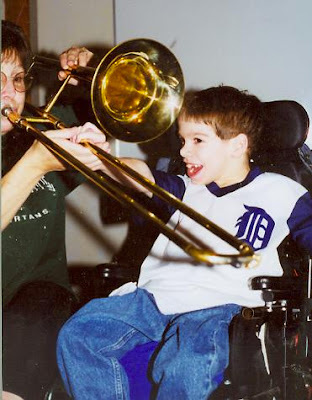 -Buy age/skill-level appropriate gifts for the child with special needs. Regardless of how well intentioned, inappropriate gift selection for children with special needs hurts. When in doubt, ask parents for gift ideas, or obtain a copy of the child’s holiday wish list. Reserve baby toys (and baby talk) for babies! Key Note: Toys 'r Us offers an annual Toy Guide for Differently-Abled Kids, 'a toy selection guide 'for parents and friends of children with disabilities,’ to ensure the holiday toy wishes of kids with special needs come true, too. The 2011 guide with Eva Longoria on the cover can be downloaded here: Toys R Us. -Redefine your expectations. Throw all those visions of a perfect Hallmark family holiday right out the garland-draped window! Instead, ask what memories you want to create for all of your children. Having a child with special needs does not mean you must forgo memorable and fun holiday moments and traditions. Think creatively! It's worth the effort. Final reminder: The Compassionate Friends Annual Worldwide Candle Lighting to remember a child who has died is tonight at 7 p.m. ET. Photo of Eric Winter by big sis Jenna. That's what I get for complaining about rain yesterday. This past week, one of my favorite columnists and my friend, John Schneider of the Lansing State Journal, wrote a powerful column about a woman who went beyond her comfort zone and reached out to a man clearly in need. I'm sharing John's words with you here because I believe this is the perfect holiday story to combat all the bad news, selfishness, call to shop, and often worthless reality television that is so much a part of today's world. I hope you'll be inspired to share this story and then pay it's message forward in your own lives. If angels walk among us, then Elizabeth Jesse is one of them. Read 'Act of Kindness Brings Friendship, Joy & Sadness' here. In the seasonal spirit of giving, could you please throw a few holiday nuts my way? The Compassionate Friends Annual Worldwide Candle Lighting honors and remembers children who have died. This year's event will be held on Sunday, December 12th at 7 p.m. local time. Please share this post with those you believe could benefit from the healing act of remembering a child who has died. I love selecting a special candle for my son just for this evening. SPECIAL NEEDS KUDOS 2010 -DAY TWELVE -CINDY LU EDGERTON & RICSTAR'S CAMP: I can never say enough about music therapy, a wonderful profession, which uses music to enhance and build social, emotional, physical and other skills in children and adults with a wide range of special needs, including autism. According to the American Music Therapy Association, Inc. website, "music therapy is the clinical and evidence-based use of music intervention to accomplish individualized goals within a therapeutic relationship by a credentialed professional who has completed an approved music therapy program." 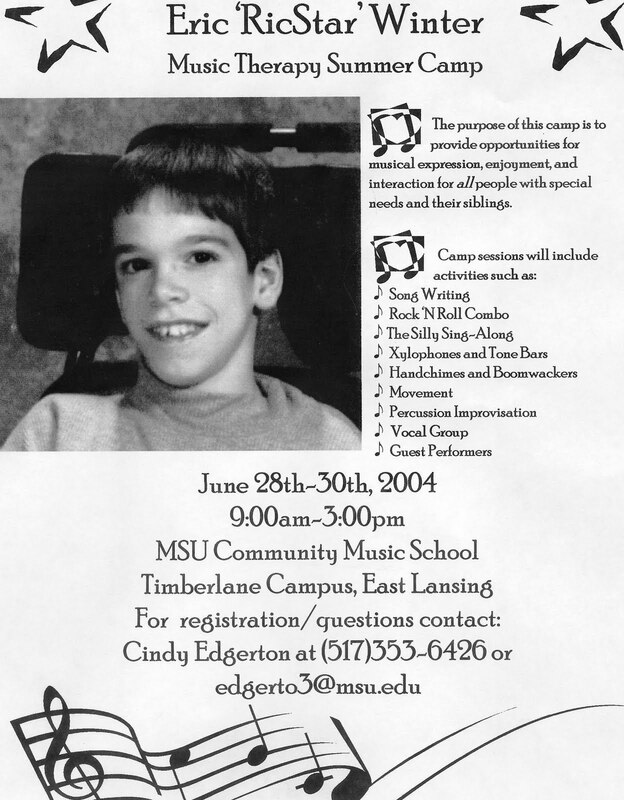 For most of my son's life, Eric took part in weekly music therapy classes at Michigan State University and was composing music shortly before he died. 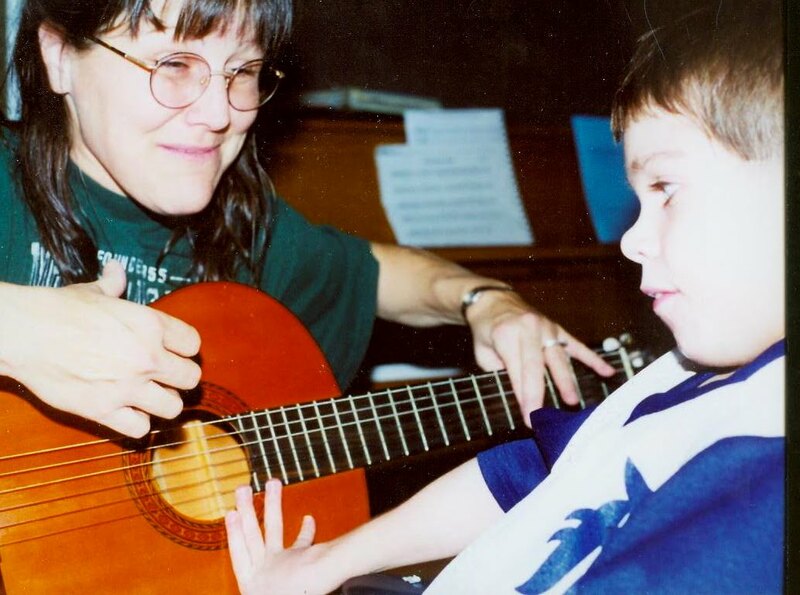 Other than conductive education and inclusive public education, no program or professionals had as much impact on my son's life as did music therapy and its remarkably skilled and caring music therapists, especially music therapist extraordinaire, Cindy Lu Edgerton. Edgerton is the founder of the Music Therapy Clinical Services Program at Michigan State University's Community Music School, and co founder/director of the Eric 'RicStar' Winter Music Therapy Camp (aka RicStar's Camp) named in honor of my son. This popular yearly summer camp is now in its ninth year. I can never repay Cindy for the way in which she greatly enhanced my son's life and focused on and then nurtured his remarkable musical abilities. She is simply the best at what she does, and has a true gift and calling for working with those with special needs. She's a musical angel. I could go on and on about this program, this marvelous profession, Cindy Lu Edgerton, and RicStar's Camp, but here are the important links to help you check it all out for yourself. -Learn more about Cindy Edgerton here. -Find out more about music therapy programs at MSU here. -Check out RicStar's Camp here. 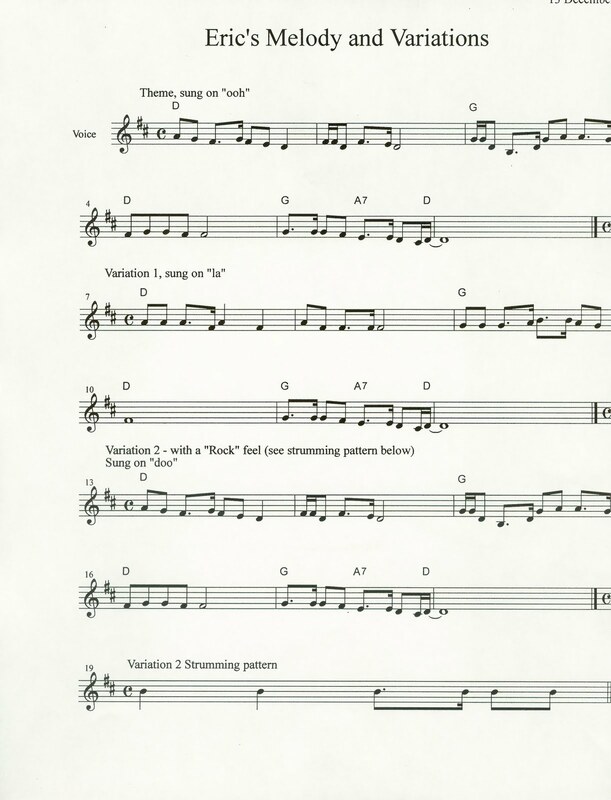 -American Music Therapy Association, Inc. here. Top photo of Cindy Lu Edgerton at RicStar's Camp by Erik Taylor Photography 2010. There's no question that the world lost a special needs giant, and a remarkable woman, when Eunice Kennedy Shriver, founder of Special Olympics, passed away in August 2009. But the global organization that began humbly in Shriver's backyard decades ago, has been firmly in the capable leadership hands of her son, Timothy Shriver, for some time. In his care, Special Olympics has continued to thrive and grow, offering athletic opportunities to millions of athletes with disabilities worldwide. 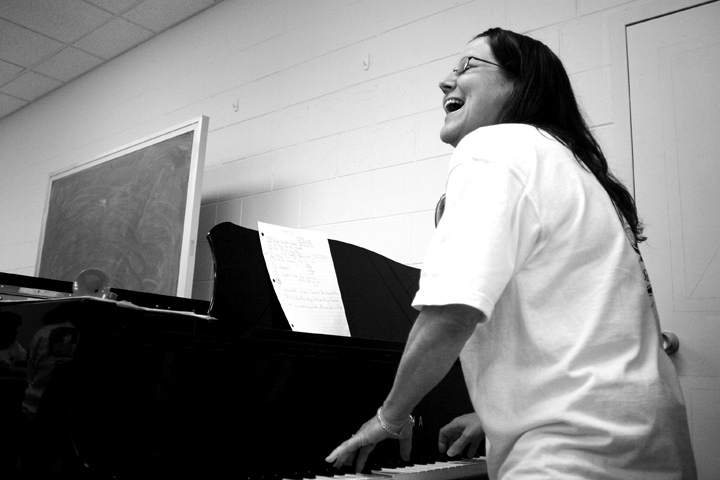 More recently, Shriver spearheaded the effort to end use of the word retarded, replacing the outdated language with the currently accepted terminology intellectual disability. I'm fortunate to have met Tim Shriver as I interviewed him for my book, and later at a private meeting in his office at Special Olympics headquarters in Washington, D.C.. There, he ended our time together by graciously giving my husband and me a tour of his mother's office, where powerful moments of Kennedy family history were everywhere. It was an experience I will never forget. My interview with Tim Shriver appears in my book and remains a highlight of my career. His intelligence, wisdom, vision, passion and commitment to continuing the incredible work his mother began, and yes, that Kennedy charm, left me inspired and motivated for my own on-going advocacy on behalf of children with special needs. I never had the honor of meeting Eunice Kennedy Shriver. But I feel blessed to have met her son. Tim Shriver is doing his mother's legacy proud. Like his mother, he's one terrific human being, and a great example for those of us who advocate on behalf of individuals with a wide range of special needs. The Shriver family has raised the bar of expectations high for the rest of us, indeed. Find out more about Tim Shriver and the amazing work of Special Olympics, here. Read more about Eunice Kennedy Shriver here. You can join the effort to end use of the R-Word here. 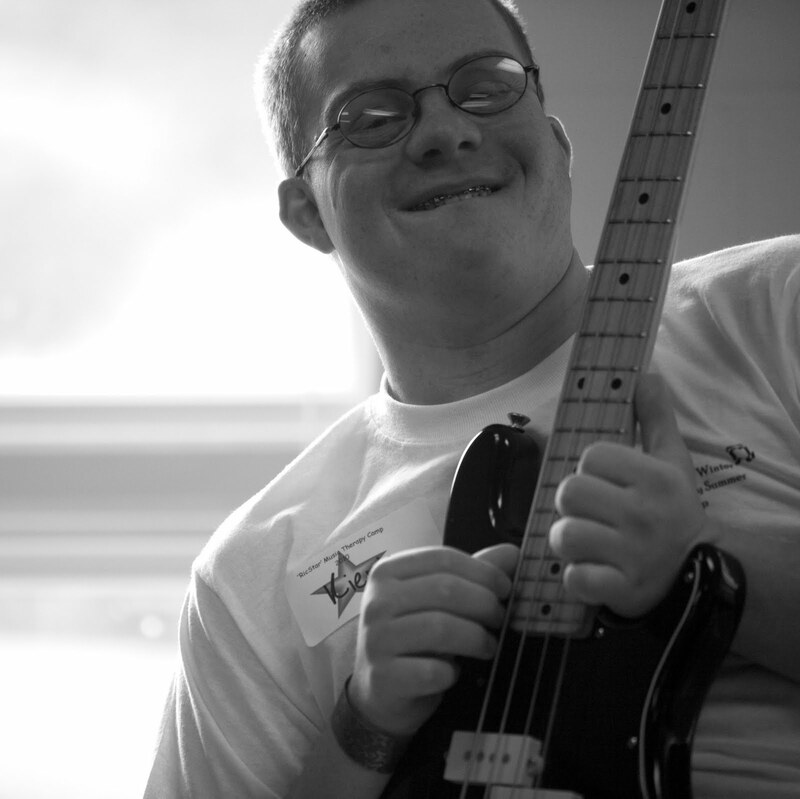 Photos of Special Olympics athletes courtesy of Special Olympics. Used with permission. A few years ago, I was asked by L.A. filmmaker/activist/mom Keri Bowers, to take part in her new film, 'The Sandwich Kid,' about the role of siblings in special needs families. I was thrilled to be part of this valuable effort that explores the important and challenging role of brothers and sisters in families with children with disabilities. Bowers had already done some terrific work on the topic of special needs, especially autism, with her first film, 'Normal People Scare Me.' Her oldest son, Taylor Cross, is an aspiring filmmaker and speaker who helped produce that film. Taylor was diagnosed at with autism at age fifteen. Recently, I recognized siblings in Day One of my Twelve Days of Special Needs Advocacy. That reminded me that this might be a great time to revisit 'The Sandwich Kid,' and provide you with both the links to view the film's promo and to Bowers website, where this film and others are available for purchase. If you haven't yet seen 'The Sandwich Kid,' you will be deeply moved by the siblings insightful and emotional words. If you have viewed it, it's worth another look. Wondering what the late, great John Lennon would have accomplished in the three decades he's been gone from this world. I believe strongly in the power of early childhood educational programs to improve the lives of all children, especially those with special needs. So, I'm honored to be one of the faces/voices of the new WKAR-TV (PBS) Great Start campaign promoting such programs for children in my community. You can view my promo, (and those of other community leaders in Michigan), introducing an assortment of valuable parenting tips here. After spending nearly two decades advocating on behalf of children with special needs, and their families, I've come to one conclusion: involved, loving, committed parents of children with special needs are some of the finest individuals you will ever meet. I treasure the stories you've shared with me about the impact my book has had on your lives, including the emotional emails filled with your stories of parenting success. Your generous hugs at my book signings across the country have gotten me through some difficult days, and further fueled me for the tough advocacy work that remains. The general parenting world has much to learn from the remarkable, pain-staking efforts of special needs families as they work creatively each day to help their children live the best lives possible, no easy feat. You represent the best of parenting. Holiday blessings and kudos to each and everyone of you. You're changing children's lives. I can't imagine an effort more worthwhile. 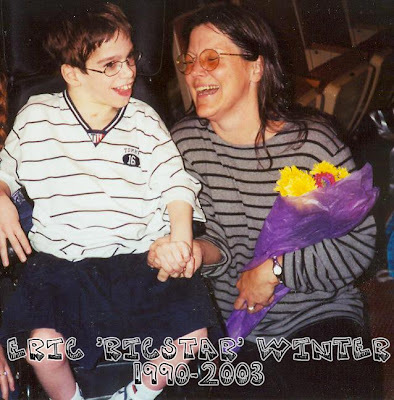 Photo of our favorite RicStar Camp families from Canada by Judy Winter 2010. Special Needs Casting Alert! -Central Casting, Washington, D.C. This casting alert comes from my Facebook friend, the very talented Suzanne Richard, artistic director of Open Circle Theatre, a professional theatre in Washington, D.C., that showcases the talents of those with disabilities. Central Casting, DC is looking for strong actors with physical disabilities for upcoming training videos. They seek submissions from men and women who are blind, deaf, have missing limbs, use crutches or a wheelchair on a daily basis or have any other form of (visible) physical disability. Age range is 20s to 60s, and all ethnicities. Please email headshot and resume with bodyshot and contact phone number to Dagmar@CentralCastingUSA.com and CCSubmissions01@GMAIL.com. If you don't meet the specific casting requirements, please do not respond. Thanks for the casting heads up, Suzanne!